Many museums use place-based learning to keep their offerings unique and closely linked to their communities. But what is place-based learning and how can place-based learning ideas be incorporated into overall institutional planning? 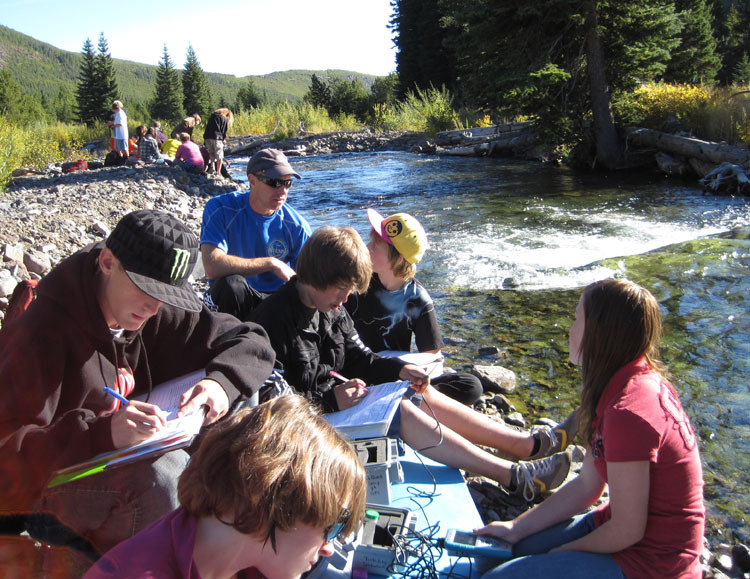 Place-based learning is an educational approach that involves the use of the local community and environment as the central content in the development of institutional learning goals, programs and exhibitions. 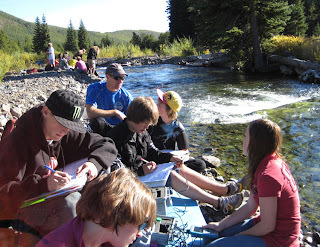 Place-based education promotes learning that is rooted in what is local - the unique history, environment, culture, economy, literature, and art of a particular place – to benefit both the community and the learners. Using this approach, an institution begins with its “place” as a starting point to connect concepts in language arts, mathematics, social studies, science and other subjects across the curriculum. Emphasizing hands-on, real-world learning experiences, this approach to education has proven to increase academic achievement according to researchers at the Orion Society. Why chose this local and place-based focus? One of the main reasons is to promote the uniqueness of the institution within its community so that it does not resemble any other museum in any other part of the world. A unique mission and vision based on a particular place can help with fundraising and audience development as the Museum can clearly articulate why it is different from other Museums of their type as well as how the organization is tied to the community. Another important reason is that people have connections to specific places and learning is stronger if new ideas presented by the Museum link with emotions or knowledge that visitors bring with them. Many museums of all types are using their unique locations to present place-based learning that can only happen right in that location and draw on the resources found only there. 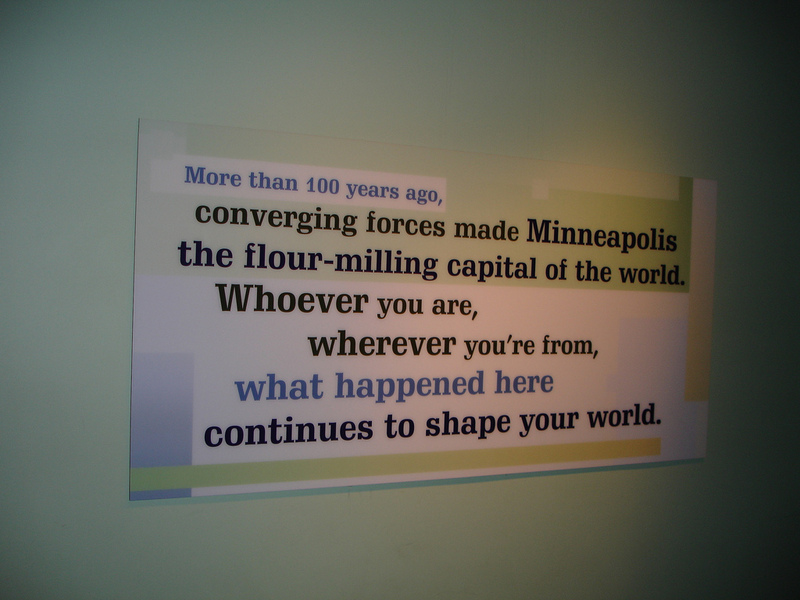 Here are some examples of Museums of different types that use their “place” as a central theme. 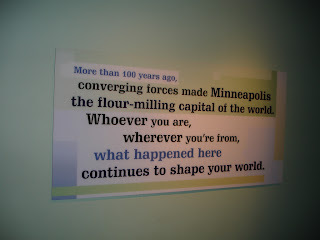 The Mill City Museum in Minnesota focuses very specifically on the story of the mill that existed at that site. 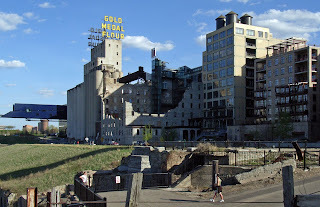 Looking out the windows, visitors can see the mill’s foundations, the river beyond, the transport ships and the city that grew up around that place. Exhibitions focus on how the building was used, but then radiate out to address issues that affect everyone, no matter where they are from. 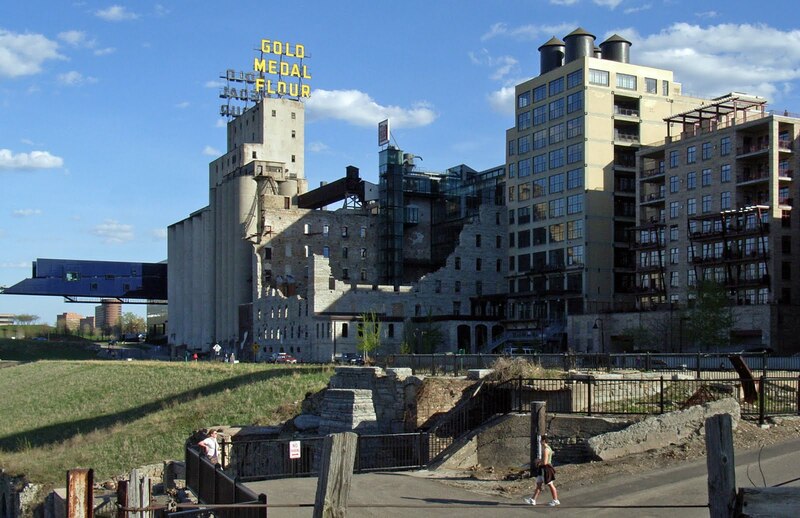 The site is used to address the topic of the intertwined histories of the flour industry, the Mississippi River, and the city of Minneapolis. 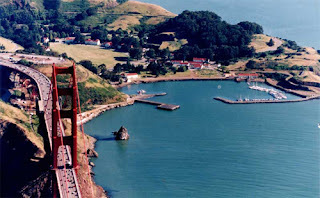 Underneath the Golden Gate Bridge in the San Francisco Area, The Bay Area Discovery Museum has created programs and exhibitions that use the unique site and historic buildings to address the natural, built and cultural environments of the people, plants and animals that make their home there. 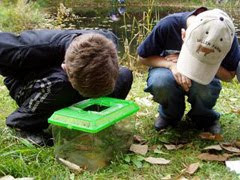 One of the reasons the Museum chose this local approach was that childhood experts advised staff that by getting children to care about one plant, person or animal that the child was more likely to come to care about the overall environment and the living things that shared the habitat with them as they grew older. Exhibitions focus on art, science, and the built and natural environment of the San Francisco Bay area in order to build empathy and stewardship toward their communities no matter where they visitors are from. The Museum’s mission is focused on place and staff developed an interpretive framework that guides exhibition and program development around this idea of place. 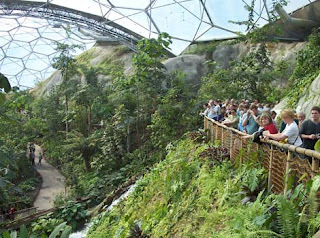 Another place-based institution is the Eden Project in Cornwall, England. 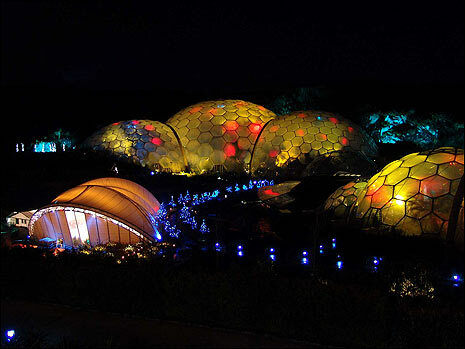 Built on the site of a former mine, his collection of biomes was built using sustainable building techniques and served as a catalyst for economic regeneration in the area. The location itself tells a dramatic story of renewal and regeneration while inspiring visitors to care for their world and gives hope that even the most polluted environment can be turned around. 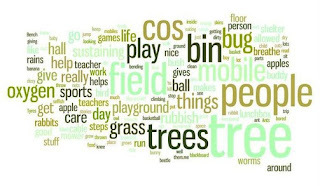 Exhibits and programs focus on gardening, people and learning, the environment and climate change all with the aim of influencing the everyday choices we make and how those affect the world around us. The Eden Project addresses issues of environmental recovery and the relationship of the buildings with the landscape and the landscape with the people. Visitors can engage with the plantings, art works and exhibitions or engage with programs about planting and connections to local towns. A video is available if you are interested in learning more about the Eden Project. Tell us about how your Museum is using place-based learning! 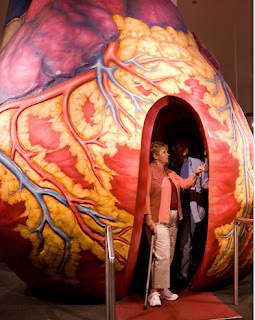 Museums are always looking for ways to increase the impact of learning for our visitors. One way to increase impact and memorability is through special spaces and dramatic environments as we are more likely to remember learning messages when they are tied to an overall memorable experience. Historic surveys have shown that some of the most memorable and influential exhibitions are those that take place in special spaces, such as the walk-through heart at the Museum of Science and Industry in Chicago and the grain chutes at the Minnesota History Center. 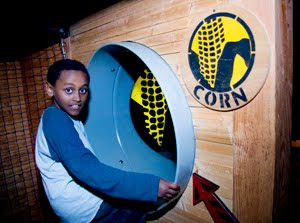 By experiencing the learning goals as part of the overall environment, the exhibits and educational messages are more memorable and powerful over longer periods. By strongly linking important collections and immersive environments to special places, learning goals are enhanced and re-enforced. In fact, spaces influence all of us in many more subtle ways: researchers are finding that memory is enhanced when university students regularly change the locations in which they are studying, resulting the topic of study having additional hooks within the brain. Does a space have to be immersive and dramatic to be special? What makes a space special anyway? For children, special spaces and places are frequently those where they remember doing something unusual, where they remember being especially happy or a favorite place they often visit rather than somewhere very dramatic. 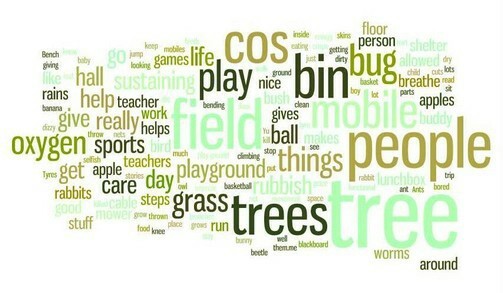 As you can see, features of the natural environment, along with special people, are the words most frequently cited. David Sobel has studied children and their special places and is the author of the book Children’s Special Places: Exploring the Role of Forts, Dens, and Bush Houses in Middle Childhood. Throughout the book he explores the secret world of children in which they find and create their own environments. In these special places, children develop and control environments of their own and enjoy the freedom from the rules of the adult world. In addition to helping children situate themselves in the social world, special places may assist the child in the transition to adolescence. Some special museum environments I’ve seen recently have been very effective in creating magical spaces and have provided very enjoyable and memorable experiences. 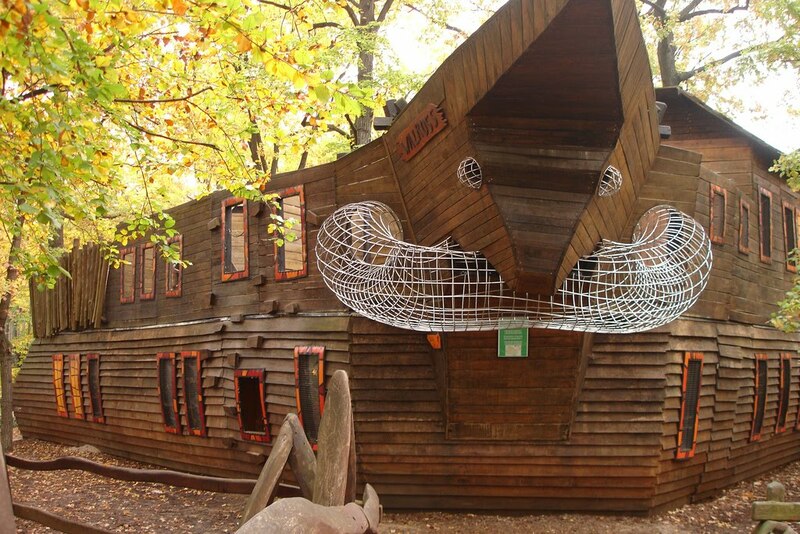 One of these was the playground area of the Berlin Zoo. There were several climbing areas that had novel shapes, allowed for some basic change, and provided unique climbing experiences. 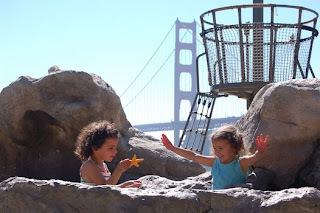 My children were particularly entranced by the uniqueness and playfulness of these unusual spaces and I almost needed to bribe them to go see some animals (including a giant Panda). 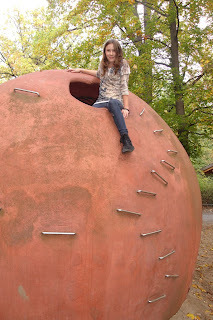 While being a great place to let off steam, these spaces encouraged conversations about eggs (who makes them and who doesn’t) and characteristics of animals and was one of my children’s favorite experiences in all of Berlin. 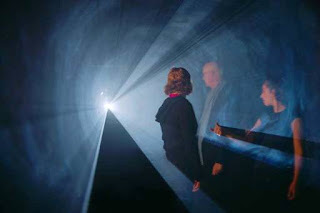 Two fairly recent exhibitions at the Hayward Gallery in London have also provided special spaces that were incredibly appealing to visitors of all ages. 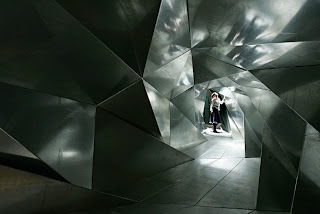 The first was the Psycho Buildings exhibition, which featured a metal, climb-within, change of perspective piece, a maze created by a fiber artist along with visitors, and a rooftop rowing pool among other installations. 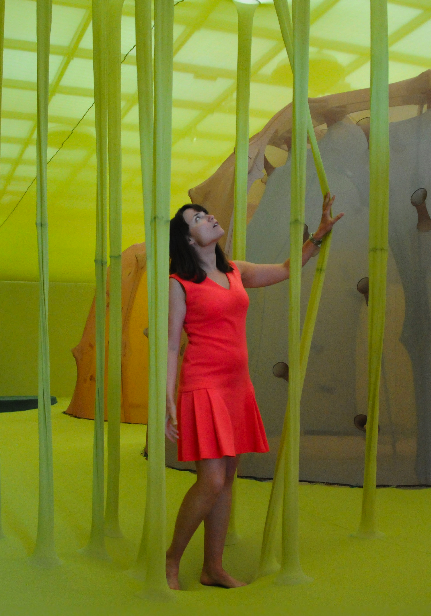 More recently, an Ernesto Neto exhibition included walk around spaces made of padded fabric with spices sewn in, providing for smell as an additional component of place-making. These immersive, dramatic and fun spaces allowed the Hayward to expand their audiences and broaden the community’s overall assumptions about modern art. 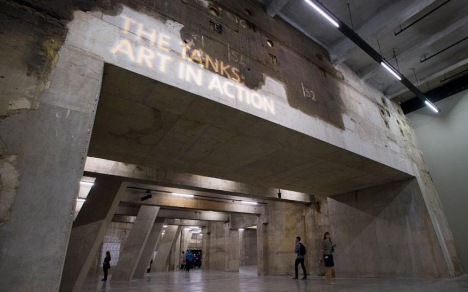 Recently in London, the Tate Modern opened the Tate Tanks, subterranean former oil tanks that have become a space for live art, performance, installation and film. Designed by Herzog & de Meuron, the new tank spaces are also intended to provide room for enhanced live encounters between artists and audience. Early reviews of the space emphasize that the tanks have been kept as close as possible to their original identity, resulting in naked, concrete spaces. The stark spaces are meant to act as a neutral backdrop to the live artworks that will take place here. Like the Turbine Hall, which retains the feel of its industrial past, the use of the tanks also allows art to occur in a found space that maintains industrial echoes of its past. Museum director Nicholas Serota says this about the tank spaces: "It will bring the kind of work that has traditionally been seen in alternative spaces, for short durations and often barely recorded, into the museum. It will bring it into our own sense of art history as something that is not on the margins, but something central to art." What special places have made an impact on you or your Museum?